Theresa is a well known name in the Tinton Falls Market for having listed and sold many of its outstanding properties over the past 15 years. As a result of being a 16 year resident as well as being fully immersed in her community, she has an acute knowledge of the various communities she serves and sells in. She works hard to provide her clients with the most positive real estate experience possible. 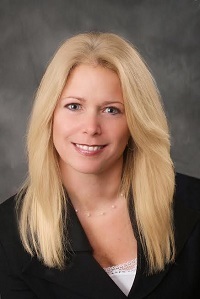 Theresa is a Full Time, Full Service Realtor who specializes in Listing and Selling in all of Monmouth County. Her guiding principles include a commitment to providing personal service that exceeds expectations while maintaining a dedication to the highest professional standards of the real estate industry. Whether you are buying or selling a property, Theresa provides you with expert real estate guidance. She has extensive knowledge of all the communities in Monmouth County and in the surrounding areas. Her dedication to her clients is second to none. She has established long term relationships with each of them and they trust her enough to refer their friends, family members and co-workers to her. A consummate professional, Theresa has earned the Certified Residential Specialist designation which is the highest designation awarded to Realtors in the residential sales field. The CRS designation recognizes professional accomplishments in both experience and education. Theresa has also earned the highest designation as an Accredited Buyer's Representative. 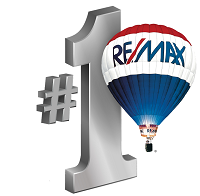 The ABR designation is the benchmark of excellence in buyer representation. Theresa most recently became a member of the Prestigious Institute for Luxury Home Marketing. The Institute for Luxury home Marketing is comprised of real estate professionals who have completed special training in understanding and meeting the needs of the very successful. Unlike other groups of luxury agents, members of the Institute are not limited to those of one real estate company or brand, nor can an agent simply pay his or her money and join. The Institute is committed to providing the training and tools necessary to help its members deliver outstanding service to the buyers and sellers of luxury homes. An essential part of today's real estate industry is technology and Theresa provides her clients with high-tech web tools and marketing material. She is technologically savvy and communicates via text and email which is the quickest and most popular way to communicate in this day and age, especially with the newest generation of buyers-the Millennials! When you decide to buy or sell, you are more than just in good hands with Theresa as your agent. You are in the "BEST" hands. Call Theresa Today! !